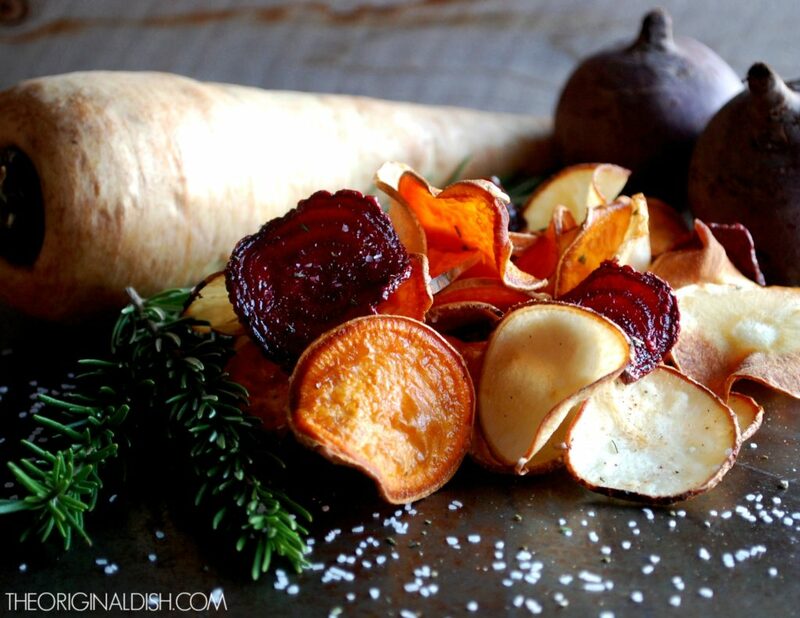 I have always been a huge fan of homemade chips. 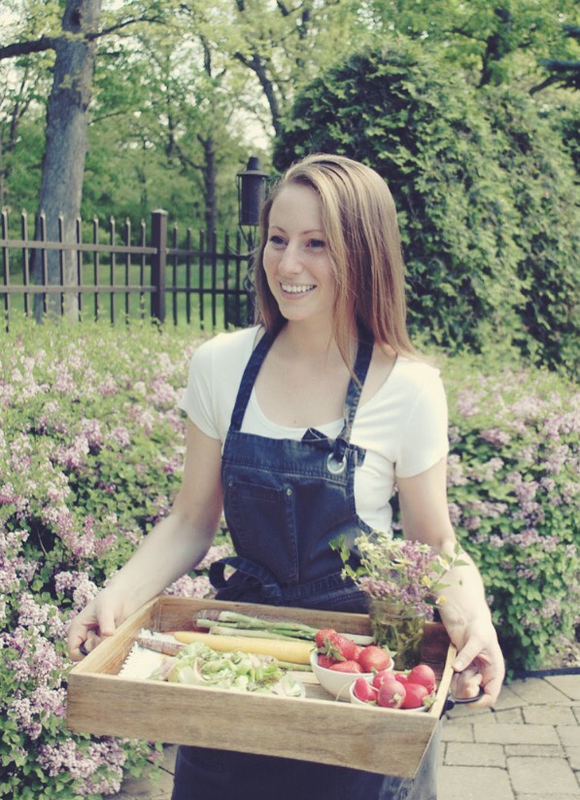 They’re rustic, earthy, and of course have a wonderfully fresh taste compared to store bought options. They’re the perfect appetizer or snack to make for a crowd. People are impressed when the chips aren’t just dumped out of a bag, but instead cooked to perfection in your very own kitchen. 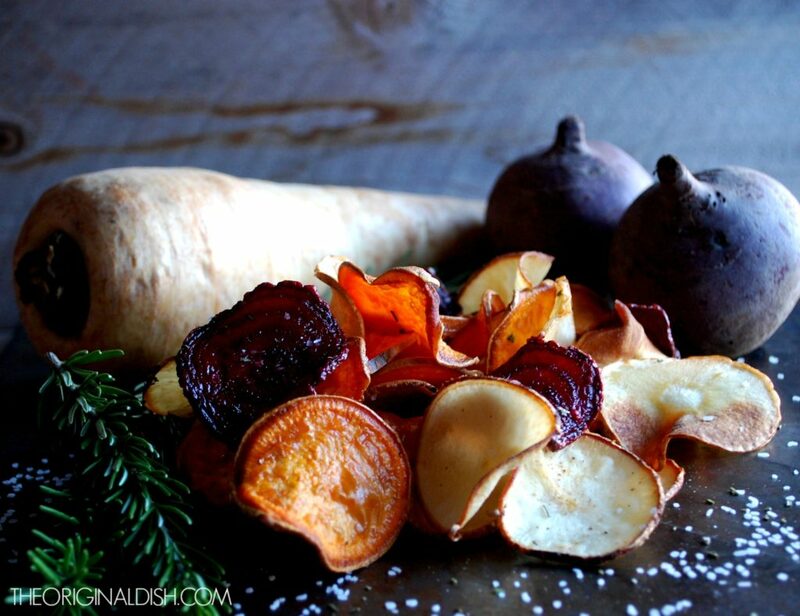 Instead of using the ole potato, I wanted to mix it up with some of my favorite, incredibly tasty root vegetables. 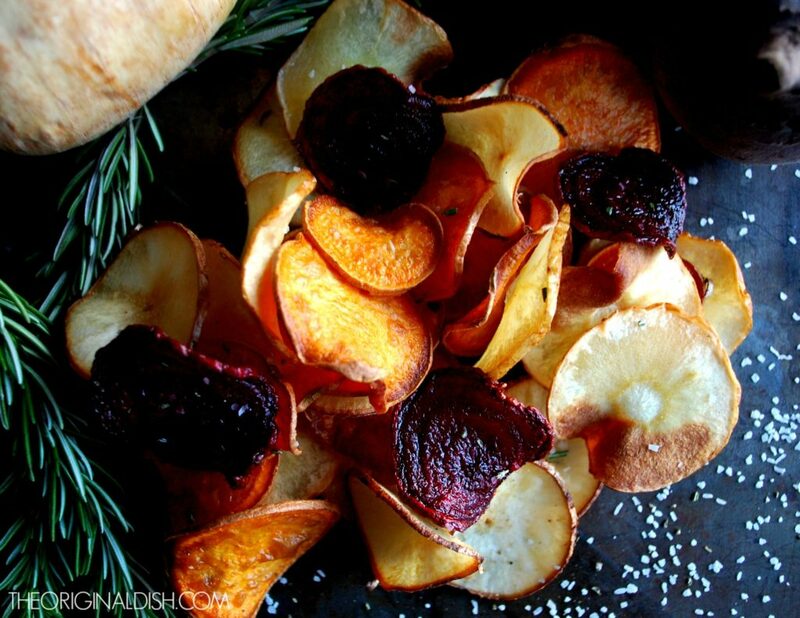 Classic potato chips are great, and have the traditional taste everyone knows and loves. 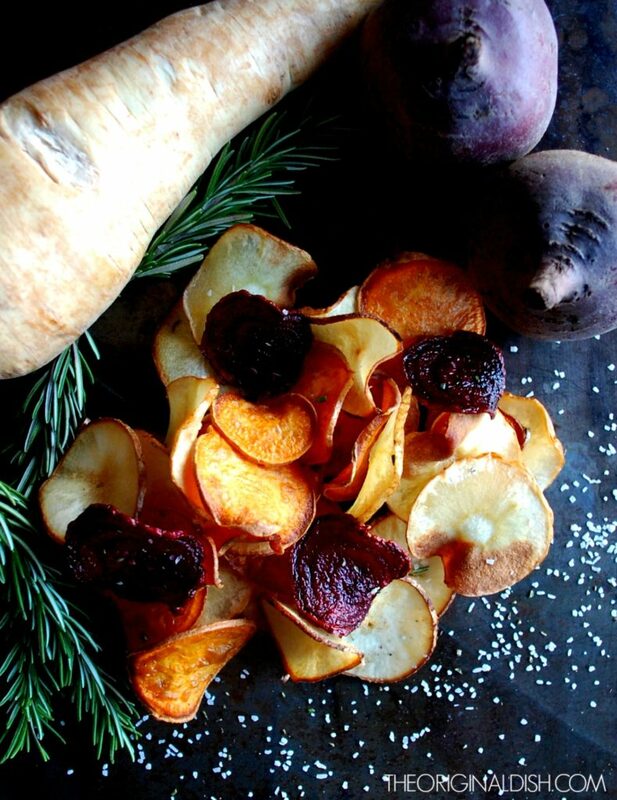 But the color and interesting, complex flavors that come from other root vegetables are hard to beat. 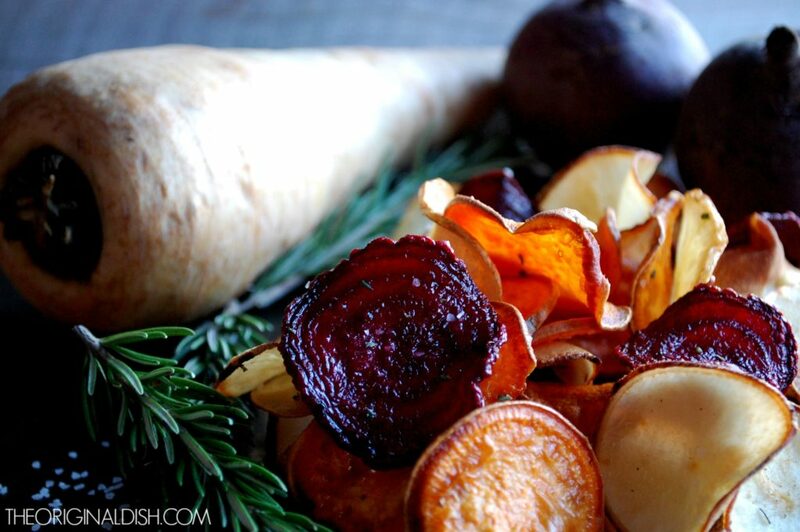 Here I’m using sweet potatoes, parsnips, beets, and yucca root. Full of vitamins and other nutrients, these vegetables are packed with health benefits that make eating chips all the more worth it. I slice them super thin and fry them up in sizzling hot oil. After just a couple of minutes they’re crispy and slightly golden. My main rule with homemade chips is to salt them immediately after they come out of the oil! You want them hot so the salt melts into each chip and all of the flavor sticks like glue. I add an extra layer of flavor to the salt: fresh rosemary. Once heated, the oils from the rosemary release and perfume the salt. 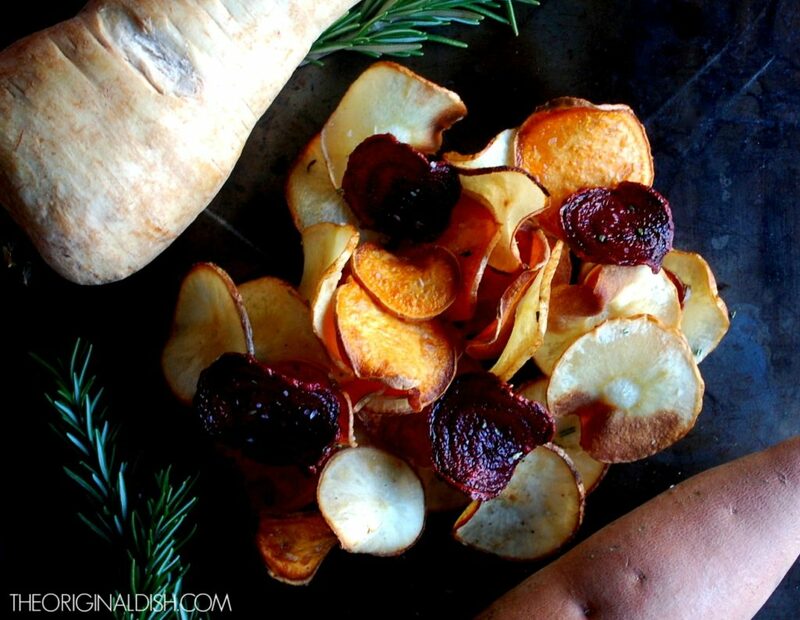 The earthy rosemary is wonderful with the chips. You won’t use all of the salt for the chips (unless you like them extra salty), so just package it up and save it for another time. I love using rosemary salt in place of regular salt for basically anything you could think of. Enjoy! In a small sauté pan, combine the salt and rosemary. Heat over medium-low heat for about 8 minutes. Cool and store in an airtight container.